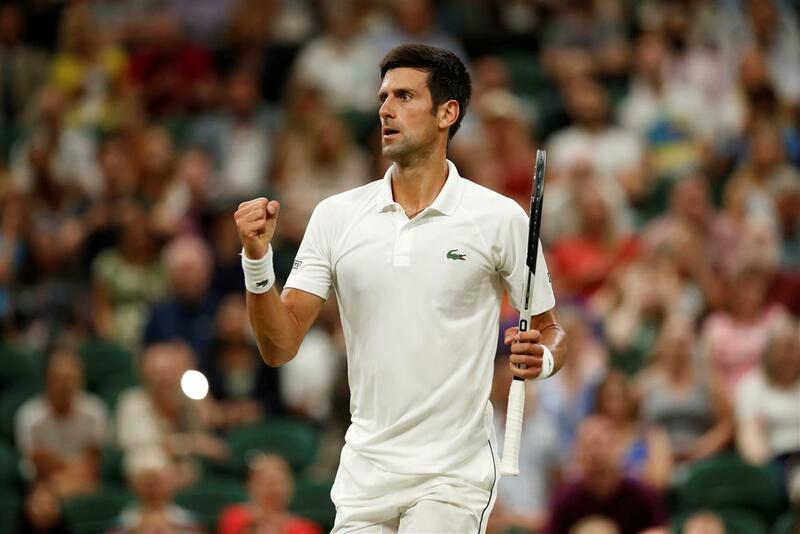 Novak Djokovic clawed his way to a two sets to one lead over great rival Rafael Nadal before their scintillating Wimbledon semi-final was paused on a knife-edge on Friday. With the clock slipping past 11pm -- the official curfew for action at the All England Club -- Djokovic survived two set points in a gripping tiebreak to edge ahead. Battle will resume on Saturday with the Serb leading 6-4 3-6 7-6(9) and needing one more set to book a Sunday showdown with South African eighth seed Kevin Anderson. Anderson earlier won the longest-ever Wimbledon semi-final in a test of endurance with American John Isner that finished 26-24 in the fifth set after six hours and 36 minutes.